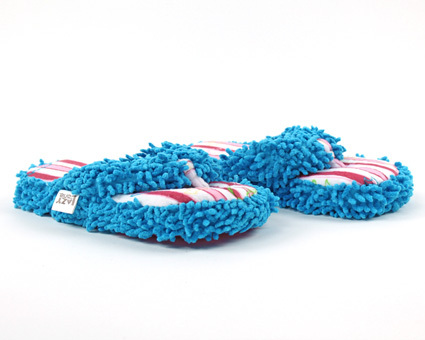 These Bear Stripe Spa Slippers are the perfect compliment to year-round hibernation. 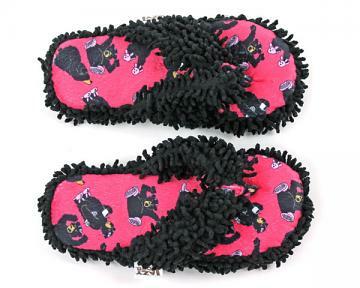 These soft flip-flop slippers feature a thick and silky fleece footbed decorated with the subtle outline of bears. 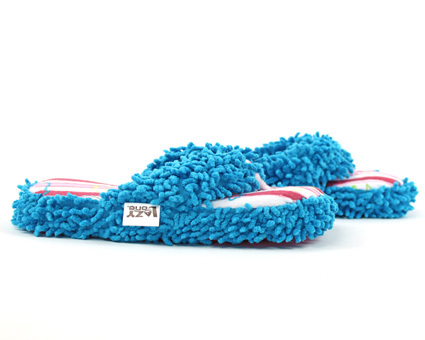 The blue fringe on the straps add a touch of color and a splash of fun! 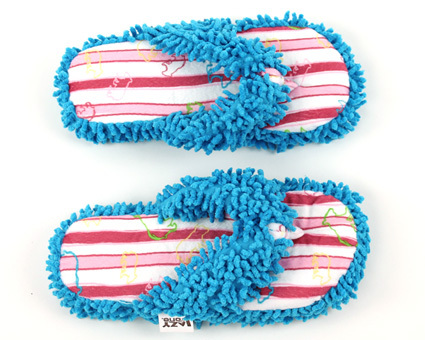 Whether you're on your way to the pool or on your way home from the spa, these Bear Stripe Spa Slippers will keep your paws cradled in comfort. With a non-slip sole, you can roam around without worrying. 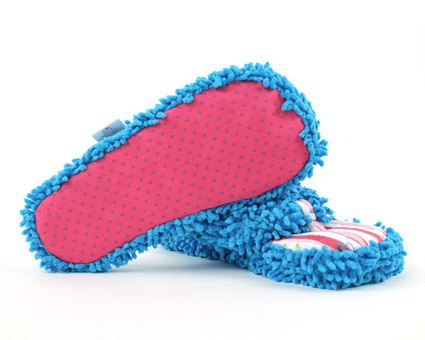 If the adorable design hasn't sealed the deal, these spa slippers are machine washable! Available in multiple sizes, you'll find one for every member of your family! A wonderful gift and fun comfortable must have to take care of your feet. 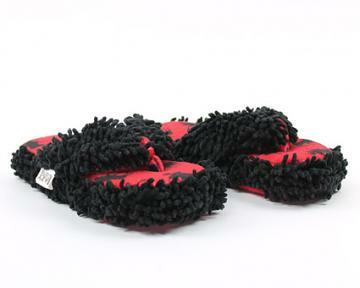 Always look forward to slipping into these comfortable warm and fun slippers. Advantages: Great way to keep warm on cold winter days.